“Bringing my illustrations to life in a physical space and creating a home that feels like a living work of art was always going to be the natural next step to me. It is something I have been building towards for some time, following smaller projects I have worked on around the world,” Ms Hess said. She has already signalled that a number of creative collaborations with Versace, Cavalli and Fendi are in the works. 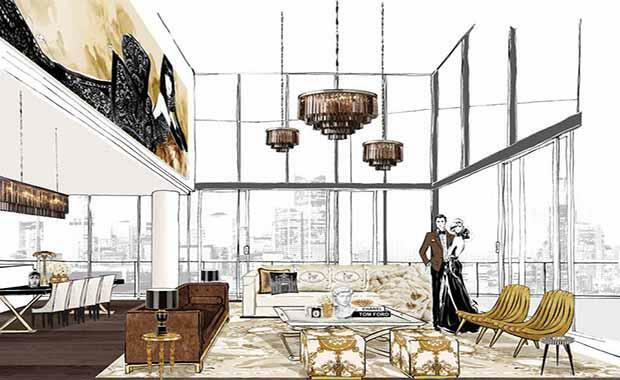 “The penthouses at Array are the crowning jewels of this beautiful building. I want to create a space fit for a modern, urban and chic king and queen of Melbourne – a space that blends luxury and comfort,” Ms Hess said.